Next competitions are on Sunday 1st July 2018, closing date Saturday 23rd June 2018. Closing date for these competitions is Saturday 1st July 2017. Just a reminder that the closing date for these competitions is 10.30 on the 4th June 2017. Apologies for any confusion, we have temporarily time-warped back to 2011 with our web site. We are working to bring you the latest news as soon as we can. Membership is now open for renewal and new members are very welcome. Please see the information page for contact details. The doors to the Forum re-opened at 9.30am on Friday 3rd June. 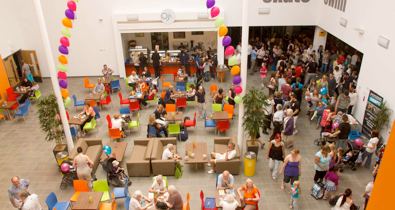 Thousands of visitors came to witness the new surroundings and enjoy the activities on offer. Click here to view a short film, from Tyne Tees, of the re-opening weekend. To mark the reopening, the BISC website is also getting a facelift. Check back here soon for news about the club. After a long and agonising wait, the Forum has reopened and the club has been allocated a Club Session on Sunday Mornings 9-15 to 11-15 starting from the 12th June 2011. Membership will also be reopened, new members are welcome and existing members are invited to renew their membership subscription.